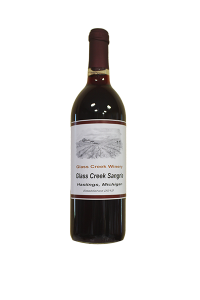 Glass Creek Winery - Stop in to see our selection of red, white, and fruit wine. 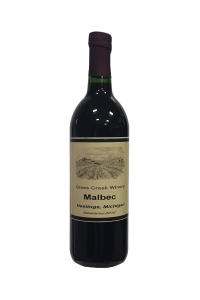 Dry and intense with deep red color and great character. 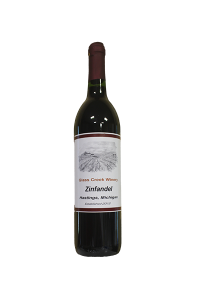 Aged in our American oak barrels. 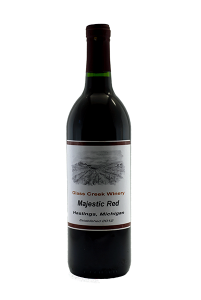 Our signature semi-sweet red wine made from the Nebbiolo grape, it has a rich flavor with a smooth finish. 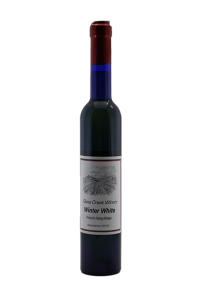 It is deep, and flavorful and finishes with a light peppery spice. Aged in our American oak barrels. 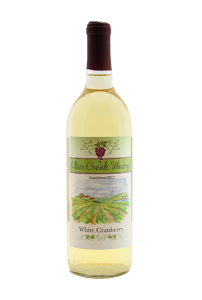 Local grapes with a fresh, sweet grape flavor. A delicious Michigan favorite. 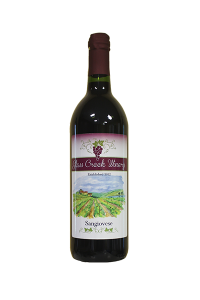 Made with locally grown grapes, our Niagara wine is sweet and bursting with grape flavor. 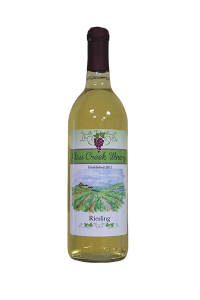 Made from locally grown grapes, it is light and fruity with a dry finish. 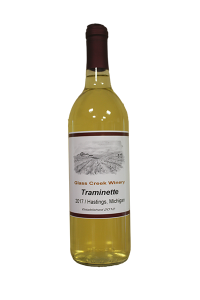 Sweet and fruit forward, it is one of our most popular wines. Sweet, with flavors of peach and juicy tropical fruit flavors. 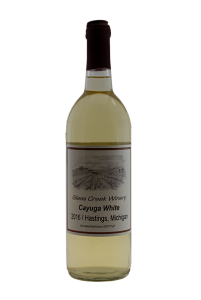 A distinctive hybrid grape with a floral bouquet and a nice citrus flavor. A distinctive varietal with a floral bouquet and a zesty citrus flavor. 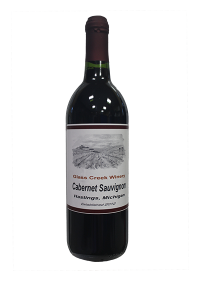 Dry and medium bodied with a lightly fruity aroma along with soft flavors and a velvety finish. 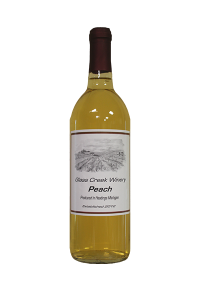 Clean and crisp with toasted oak flavors with a hint of apples and pears. 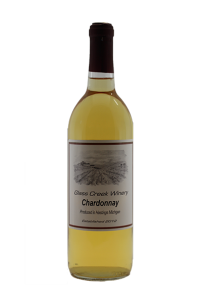 Semi-sweet with undertones of pears and apples, along with floral notes. 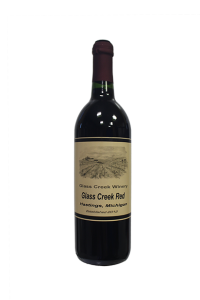 Made from locally grown grapes. 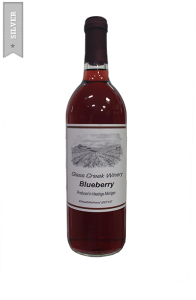 Made from locally grown Michigan blueberries, it is sweet and pleasantly tart with rich blueberry flavor. 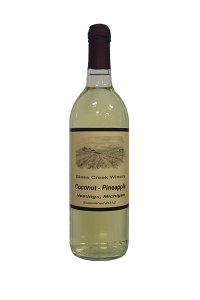 Unique and delicious with tropical flavors of coconuts blended with pineapples. The perfect vacation wine. The scent of ripe peaches explodes from this crisp flavorful wine. 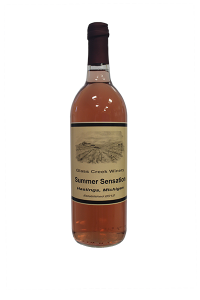 A delicious blend of grapes, strawberries, and watermelons. It is light and refreshing. 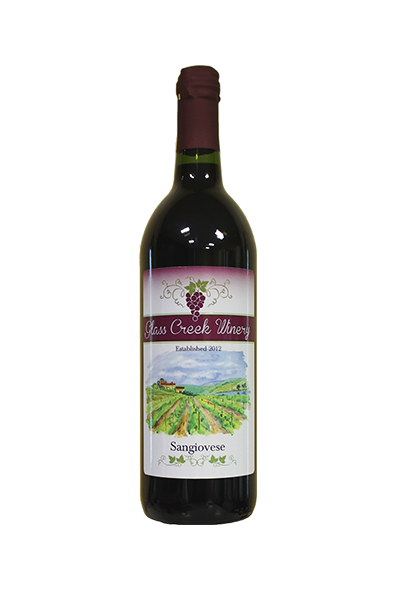 Fruity and refreshing with flavors of ripe blueberries, strawberries, and blackberries. Sweet, smooth and full of flavor. Fruity, refreshing , and easy drinking, our Sangria features flavors of ripe raspberries and peach undertones. 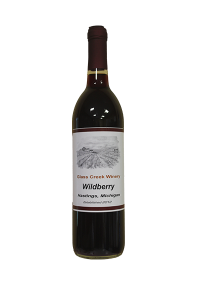 Fruit forward with smooth luscious black cherry flavors. 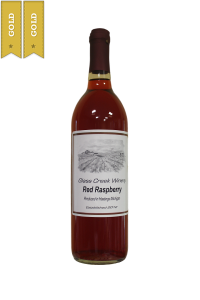 Smooth and easy drinking with flavors of freshly picked ripe black raspberries. Made from local west Michigan apples, Our apple wine is sweet, slightly tart and nicely balanced. Crisp tartness followed by a delicious smooth finish. 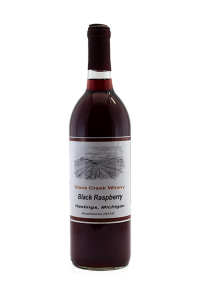 Made from fresh, ripe, Michigan red raspberries. Full bodied, sweet and full Of flavor. 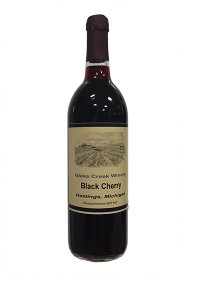 Bursting with rich, intense cherry and Chocolate flavors. 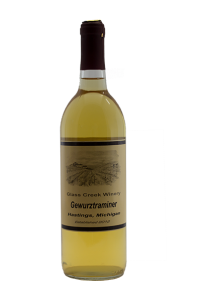 It is the perfect end It is the perfect end to any meal..
Made from frozen Riesling grapes, featuring aromas of apricots, pears, and apples. It is intensely sweet and delicious.